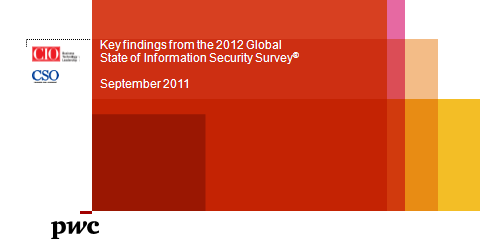 Download "www.pwc.com Third Party Risk Management 12 April 2012"
20 Questions? Rob Stouder (317) All rights reserved. In this document, "" refers to PricewaterhouseCoopers LLP, a Delaware limited liability partnership, which is a member firm of PricewaterhouseCoopers International Limited, each member firm of which is a separate legal entity. This document is for general information purposes only, and should not be used as a substitute for consultation with professional advisors. WELCOME TO SECURE360 2013 Don t forget to pick up your Certificate of Attendance at the end of each day. Please complete the Session Survey front and back, and leave it on your seat. Are you tweeting? At a glance. A provision to require a written assertion from company management is the most notable difference between the two standards. Vendor Management Compliance Top 10 Things Regulators Expect Paul M. Phillips, CFA Attorney, Adams and Reese Pamela T. Rodriguez, AAP, CIA, CISA EVP, Risk Management & Education, EastPay 2014 EastPay. Are your business partners watching your back when you are watching your front? Vendor Management: An Enterprise-wide Focus. Susan Orr, CISA CISM CRISC CRP Susan Orr Consulting, Ltd. The CIPM certification is comprised of two domains: Privacy Program Governance (I) and Privacy Program Operational Life Cycle (II).